The bookbinding construction makes these frames a permanent keepsake. 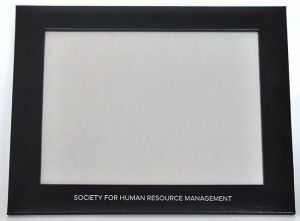 This padded frame has a turned edge opening with a clear plastic protector. The frame back is die cut to stand or hang either vertical or horizontal position. 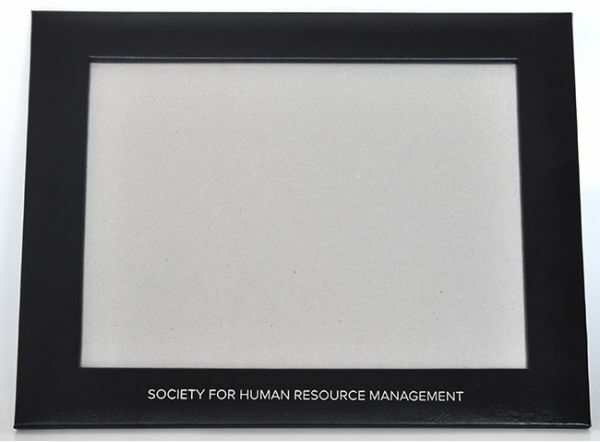 Society for Human Resource Management displayed proudly in silver foil stamping.